Successfully Added 2pcs 4 inch 72W 4 Row LED Strip Lights Off-Car Top Refit Light Bar Working Lamp to your Shopping Cart. -- Using Philips lamp beads, these cubes emit 6000k white light, 72w and 7200lm effectively illuminate the dark road. -- The 35° concentrated spot beam makes the light brighter and denser to illuminate farther distances. -- 4 rows and nest reflector cup design covers more area, providing a denser, smoother beam of light. 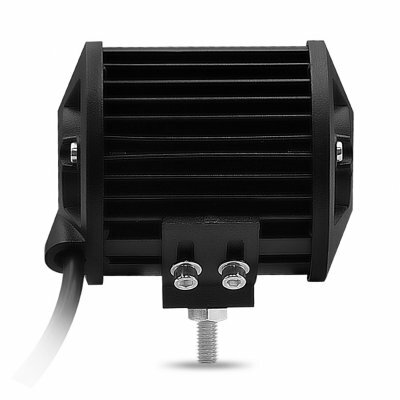 -- Effective circuit and large heat sink design maximizes the light, and reduces light waste.